The Radnor Historical Society has an extensive collection of local maps and atlases dating back to the late 19th century. 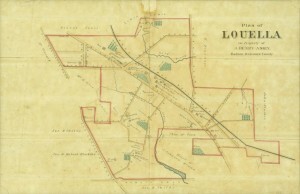 From the birth of Wayne as the tiny hamlet of Louella to the emergence of Radnor Township as a full-fledged suburb, the growth of our township can easily be read through these fascinating visual records. Thanks to the Athenaeum of Philadelphia’s Greater Philadelphia GeoHistory Network, the Society’s collection of maps and atlases has been digitized and is available to view on their website. For a complete list of maps and atlases available to view, click here.